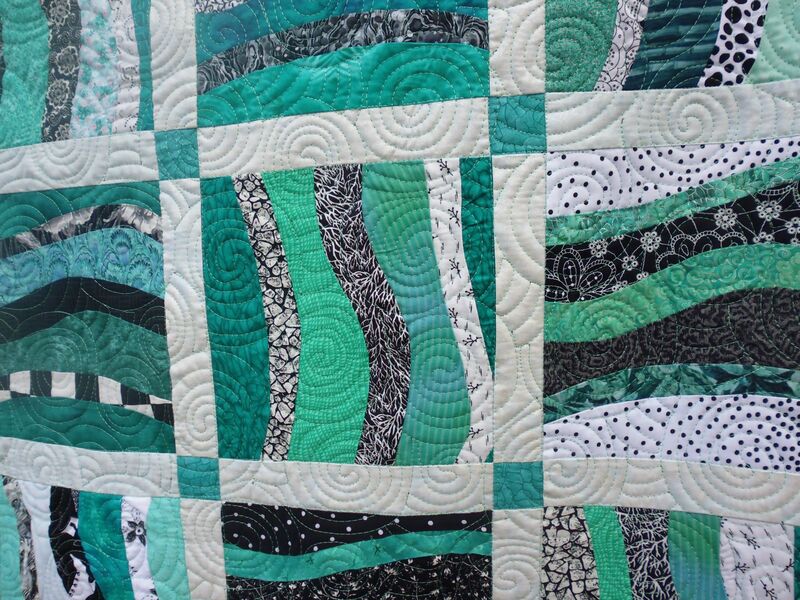 I loved the colours of this quilt! The aqua and black and white were so fresh and crisp, and set off perfectly by the plain black backing fabric. 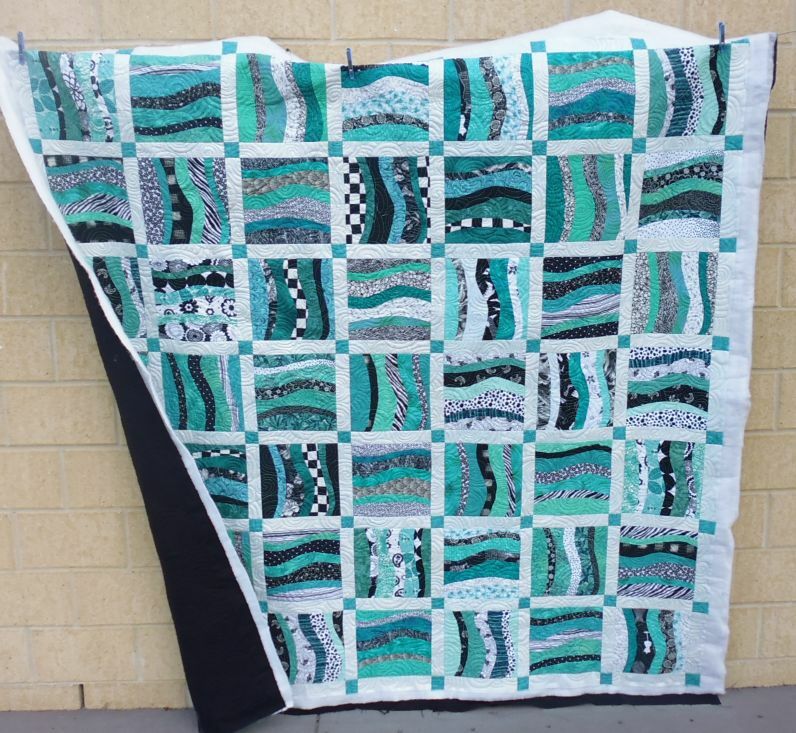 With the colours and the wavy blocks, my first thought was to quilt it with parallel lines (with curved ends) emulating water, then I thought perhaps large bubbles (as in breaking waves), but decided on large spirals to emulate waves and water turbulence as I was on a deadline to finish this one and needed to quilt it with something that was big and that covered a lot of area fairly quickly. 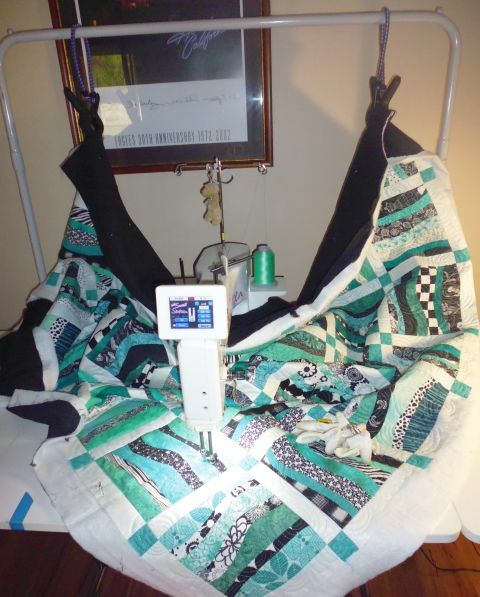 It was a big quilt, so I used my bungee cord system to reduce drag and the weight of the quilt when moving it under the needle. It took about 2 hours to stitch in the ditch around each block first, then about another 2 hours to do the spirals. Beautiful! 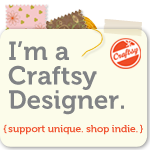 I have always wondered how it looks on the back where the quilting crosses over where you stitched in the ditch. 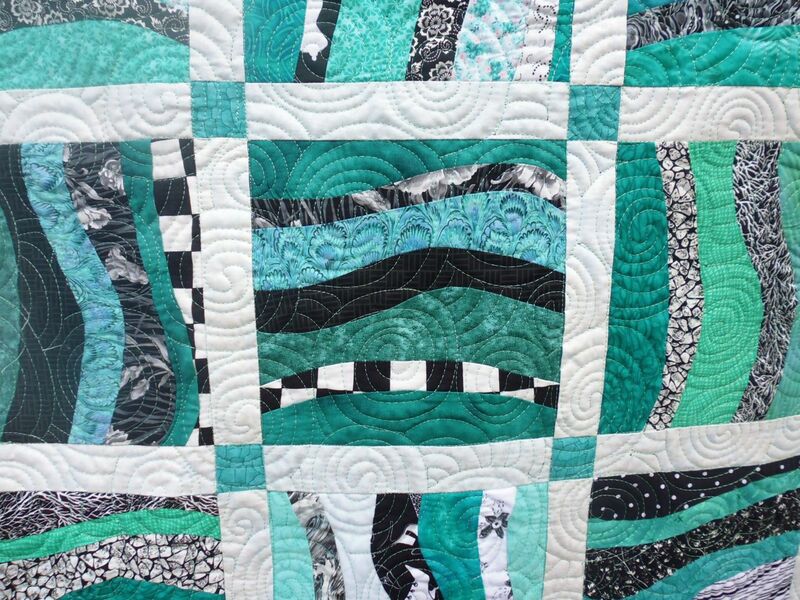 Very cool and refreshing image this quilt gives. Very Aussie – very beautiful.